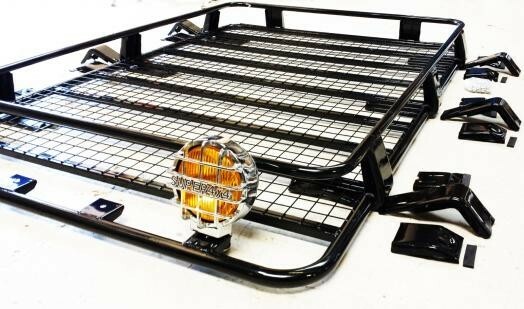 LARGE BLACK STEEL ROOF TRAY POWDER COAT FINISH 180 CM x 125 CM NEARLY 6 FEET LONG! 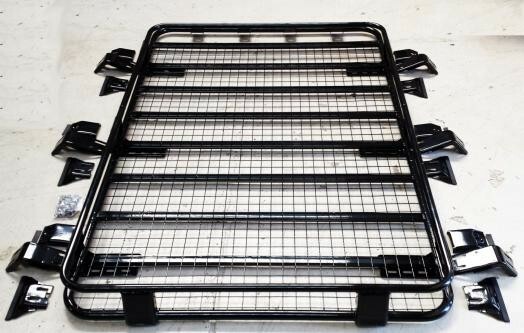 Highest quality heavy duty Roof Tray, made from a fully steel construct. 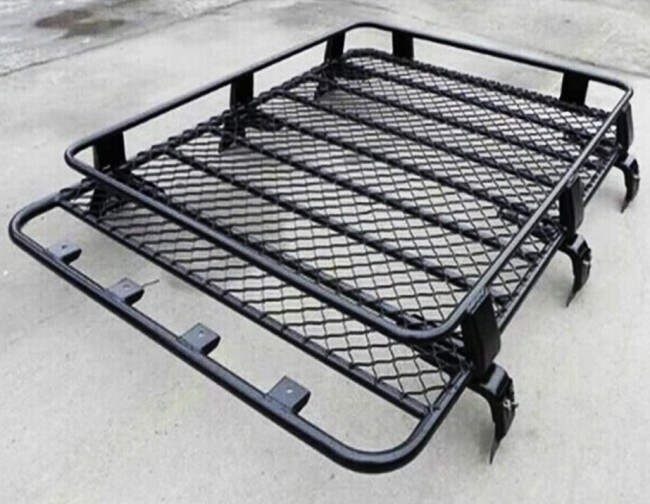 Heavy duty weight load for Large 4x4 Vehicles and Transit Vans Black Powder Coat Finish. 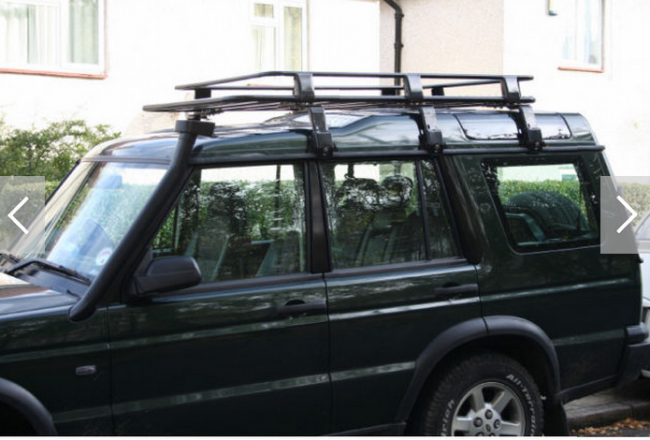 Fantastic strong look, enhances appearance and usability of your vehicle 6 Side Clamps for strong support. 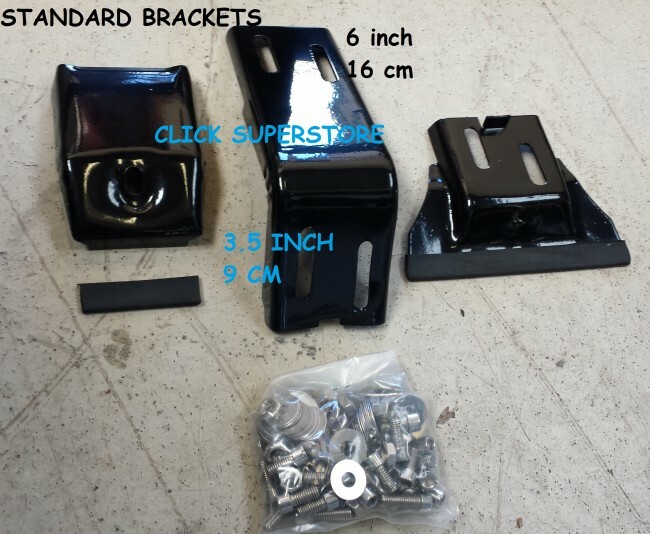 Also Suitable for vehicles with Gutter tracks but if your gutter tracks drop is more than 7 inches down you will have to modify the brackets to fit. THIS IS A HEAVY DUTY 37 KILO ITEM WHICH REQUIRES SPECIAL FREIGHT. THEREFORE THERE IS NO RETURN OPTION ON THIS ITEM. PLEASE CAREFULLY CHECK THE SIZE AS RETURNS WILL NOT BE ACCEPTED . 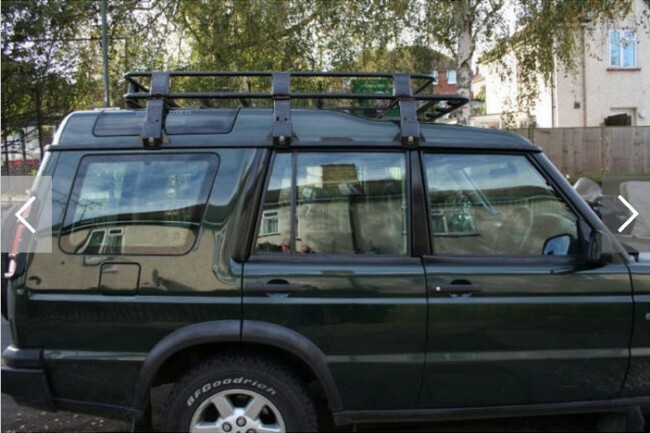 This is a Quality high strength Heavy Duty steel rack ideal for commercial use as well as heavy personal use The rectangular solid outline is further reinforced with no less than 8 cross bars wielded strongly and further supported with a steel mesh also wielded at all points Has a raised tray area affixed and welded onto the base so its not just a roof rack base its also a TRAY which can hold items. This is an excellent value for money bargain! 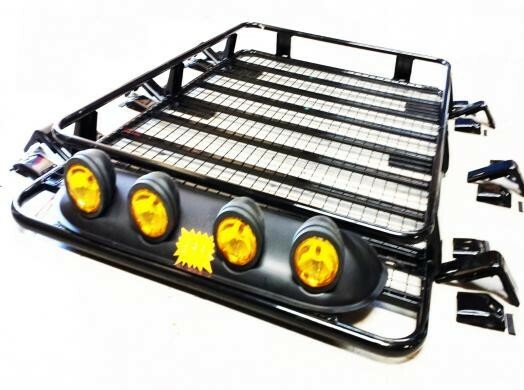 Note the lights shown are not part of the sale these are just to demonstrate that this roof rack has fixing points on the front which can be used to affix lights or other devices if required. Shipping All orders placed before 3 PM are sent out the same day via SPECIAL FREIGHT from our UK Based warehouse, We ensure items are packed with great care and arrive in a timely manner. NOW THE USUAL LEGAL NOTICE! We are not agents for Toyota Pajero Landrover Discovery Fiat Ford Nissan or any other Original Equipment Manufacturer. 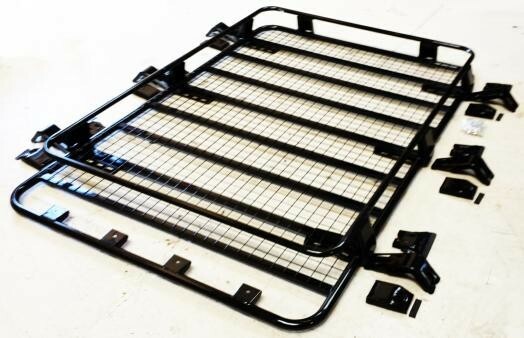 These are very high quality compatible after market replacement enhancement universal type of generic parts therefore we are not making any direct or indirect assertion or association with the registered brand owners whose names may be mentioned here purely for relative comparison purposes only It is the responsibility of the buyer to ensure that the rack is secure and correctly fitted . Before any journey please ensure the rack is safe and secure for use. We will not take any responsibility for any damage or injury .